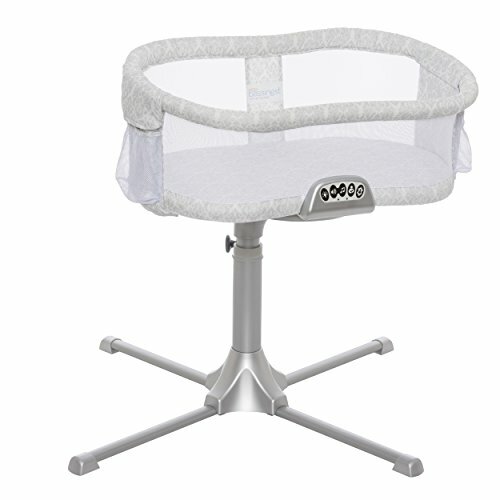 HALO Bassinest Swivel Sleeper: Safer for Baby. Easier for You. 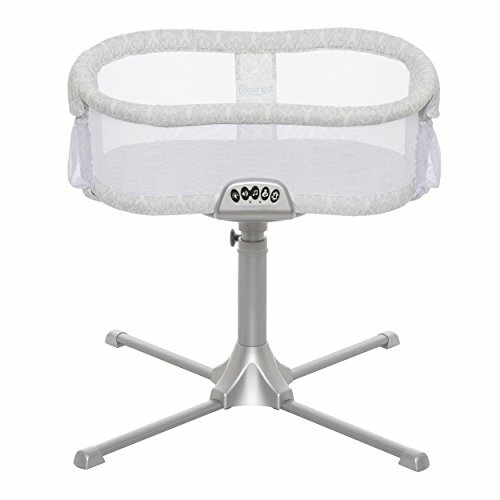 The HALO Bassinest Swivel Sleeper is the only bassinet that rotates 360 degrees for the ultimate in convenience and safety. Now your little one can sleep as close as you like, while still safely in his own separate sleep area, reducing the risks associated with bed-sharing. 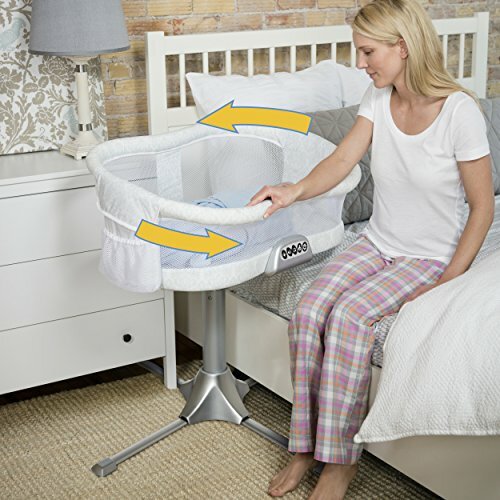 In addition to bringing baby close, it swivels to make getting in and out of bed hassle-free. 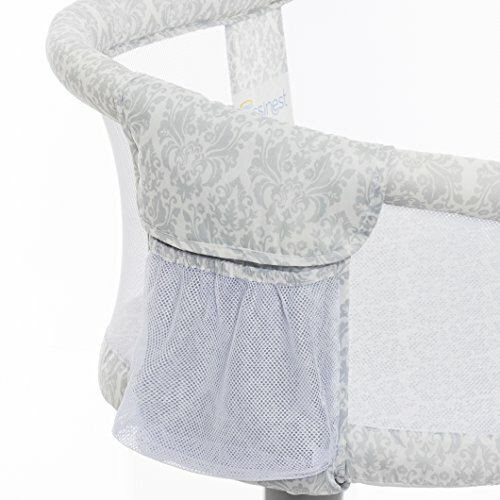 Its unique design means baby is visible at your eye level, allowing you to soothe your baby quickly, while mesh walls provide maximum breathability. 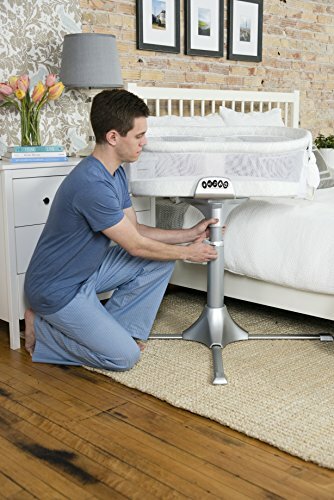 In addition, its patented side wall lowers so tending to baby is easy, allowing you to tend to your baby while still in bed – ideal for all mothers (especially those recovering from C-sections). 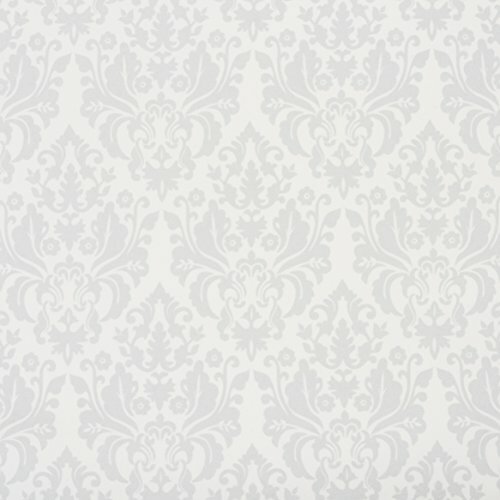 Wall can be locked in the upright position, if desired. 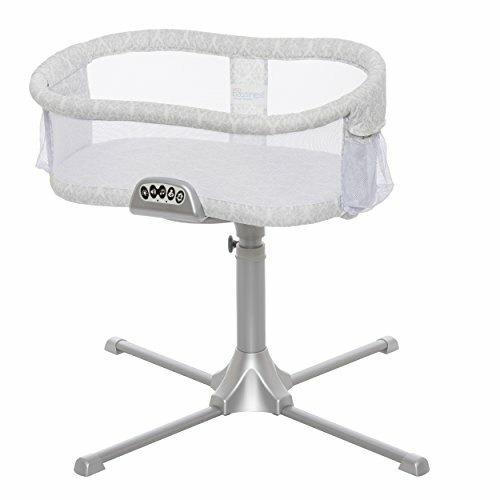 And, the HALO Bassinest Swivel Sleeper is recommended as one of the safest alternatives to bedsharing by the CJ foundation for SIDS. Its stable, adjustable base fits next to almost any bed. Recommended for babies up to five months of age. 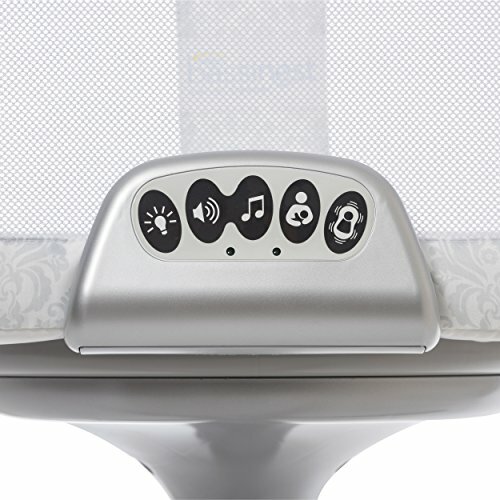 Also includes a soothing nightlight, sounds, music, 2 levels of vibration and nursing timer. 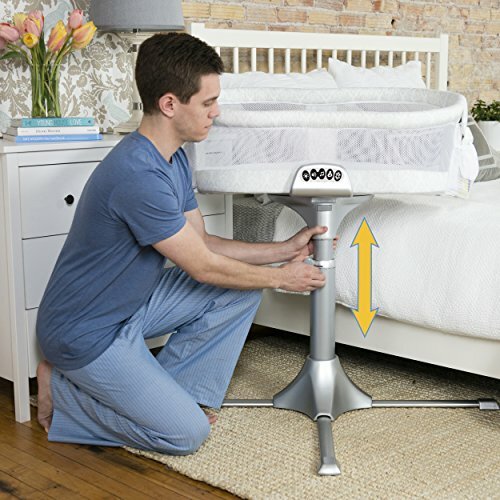 Sturdy, stable 4-point base adjusts to fit most beds from 24" to 34" tall. Base easily tucks under bed and requires only 32" clearance from wall, making it ideal for small spaces. Includes nightlight, 2 levels of vibration, 3 soothing sounds and 3 lullabies with volume control, all with 30-minute auto shutoff. Plus, Back to Bed Reminder alerts mom to put baby back to bed after feeding. Includes 100% polyester coordinating fitted sheet.